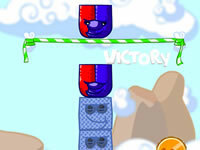 In Babylon, you have to carry a stack of blocks to exceed the green and white line of victory! 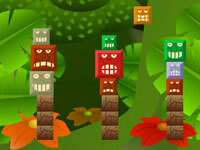 There are lots of different blocks, that's what makes the game interesting (and complicated for that matter). 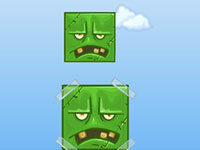 Some blocks are like magnets, they repel and if you put one on the other. You can always destroy the block you just put by clicking on the blue button at the bottom of your screen. 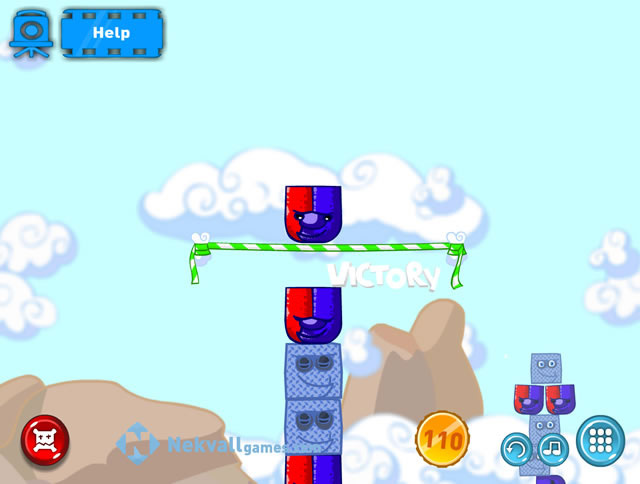 In the early levels, blocks are drawn so you know where to put the blocks. 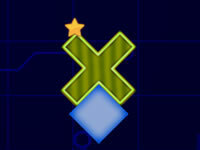 In the next levels, you're on your own. Good luck and have fun!